Before founding Driven to Excel, Inc in 2006, Steve spent 11 years as a sales consultant for a luxury automaker. Yes, the car business … not exactly a business with a reputation for impeccable customer service. So when he entered the business at 23, Steve was determined to make a positive difference by creating remarkable client experiences. — His unwavering commitment to impeccable client service resulted in raving fans and increased profits. In fact, Steve went on to earn “Salesman of the Year” 7 years in a row, while maintaining a CSI (Customer Satisfaction Index) rating in the top 1% nationally. He worked by appointment only as his repeat and referral business rocketed to unprecedented levels and ultimately translated into 70% of his sales. Before the car business, Steve spent 8 rapid-growth years in the hospitality industry. Steve Dorfman also hosted the We Mean Business! TV show conducting more than 90 interviews with thought leaders, top executives, and bestselling authors. In 2007, he co-founded the 300-member YPLG (Young Professionals Leadership Group). In turn, as you might imagine, this translates into a strengthened culture and increased profits. Through his *highly interactive facilitations and motivational training style, Steve provides participants with the opportunity to excel in their industries. This is accomplished by first raising awareness around a specific challenge or need, then by helping these participants discover their unique abilities and talents. As a result, each individual ultimately discovers how to distinguish him/herself in their field in order to contribute greatly to their company’s bottom line. *Interactive Training: Your people will support what they help to create. 2006 – Present: Chief Customer Experience Officer, Driven To Excel, Inc.
To motivate, educate, and develop employees and their leadership teams through interactive training and continuous development programs that result in employee engagement, remarkable experiences for customers, referral business, and customer loyalty thereby strengthening the culture of their organizations, overall success, and profitability. To inspire others to be a hero … for their customers and clients. In September of 2011, Steve married Maggie; the love of his life. The outdoor ceremony took place at Lake Anna, VA – their favorite weekend spot for boating and fun in the sun, especially when shared with close friends and family. 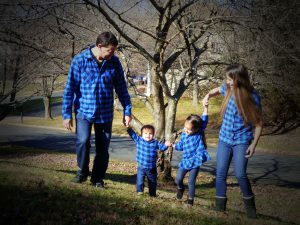 Steve and Maggie reside in Gaithersburg, MD – just outside of Washington, DC – and are proud parents to two children. Here’s to your success! I hope to connect with you soon.